There are two kinds of brides-to-be. The first looks forward to the pre-wedding jewellery hunt, descending en masse with her entourage on some famous jewellery district of the city (think Delhi’s Chandni Chowk) to scout for the best deals, discounts and designs for that perfect earring matching the perfect necklace. The second—no points for guessing—dreads the whole shebang, suffering constant bouts of FOMO on the best deals in the market and ending more confused in the end by the seemingly endless choice. Here to save you from all the double, trouble, toil and bubble of frantic jewellery shopping is CaratLane’s silver jewellery brand Shaya. 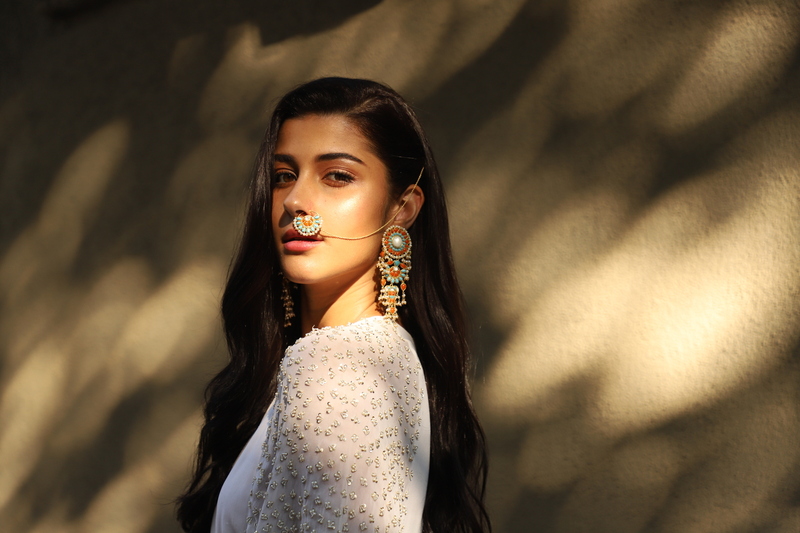 Their new, carefully curated collection is one of a kind and will sort your look for every occasion of the Big Fat Indian Wedding—mehendi, sangeet, cocktail, reception, pre-reception, post-reception, you name it. What’s more? Their other collections like Wild Flower, Shining Armour and Rani Udaymati will take care of all your other non-wedding, festive needs—whether you’re going formal, informal, under or overdressed. Gold plated, crafted in 925 silver and studded with pearls and synthetic corals, this ring lives up to its name. Be careful; the bright and beautiful geometrical patterns might just hog the limelight on your wedding reception. Pair this vibrant necklace with a minimalist dress for maximum impact on your reception. Don’t forget to pair it with the shandar ring above. They’d make dashing companions. Flaunt these sterling silver dangle earrings on your mehendi night. Each set is uniquely handcrafted so you get to feel extra special as the one in your ears was made just for you! 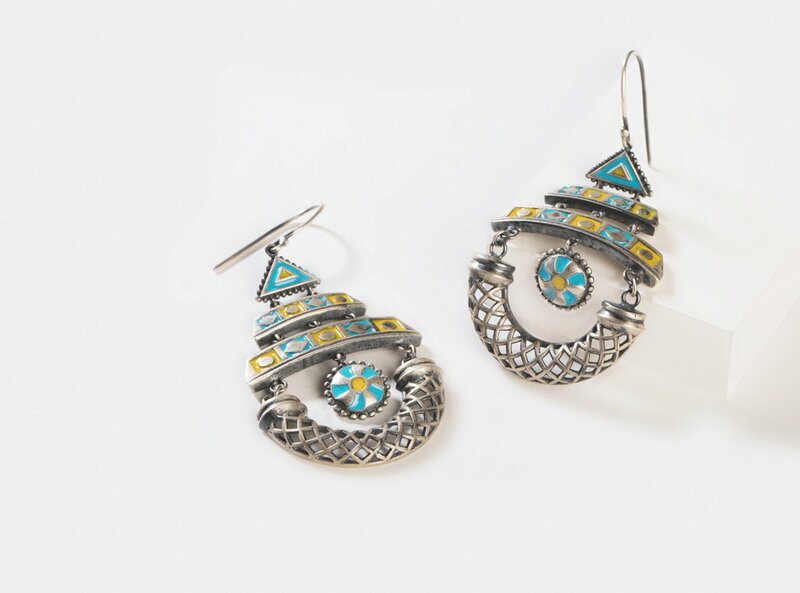 Plus, the Totem pole design is sure to become an eye magnet. 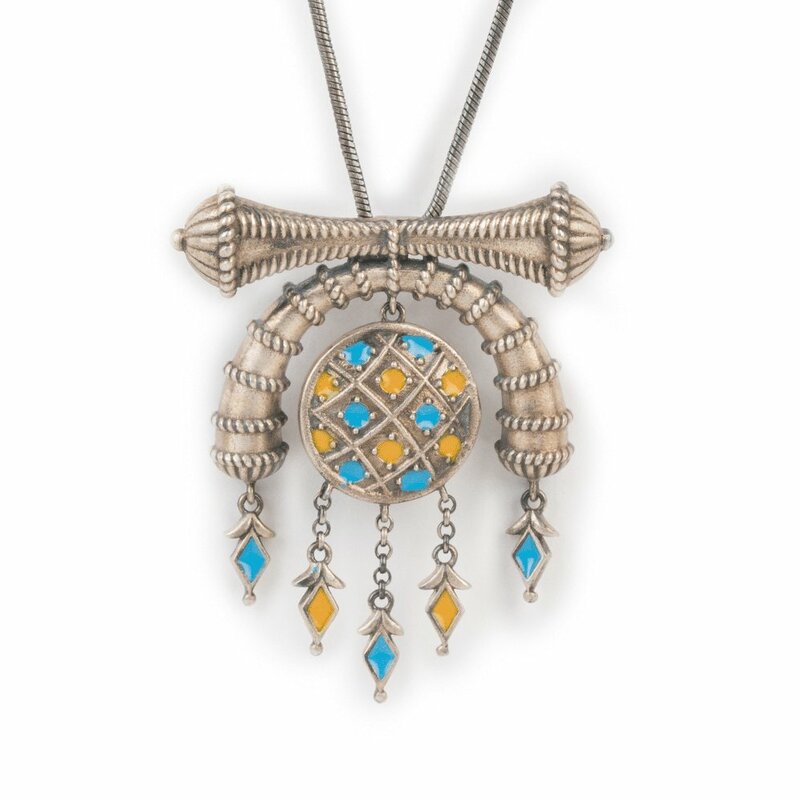 A dash of turquoise and yellow takes this silver necklace to a whole new level. A great pairing for your mehendi night as the yellow perfectly heralds the colour of henna on your hands. 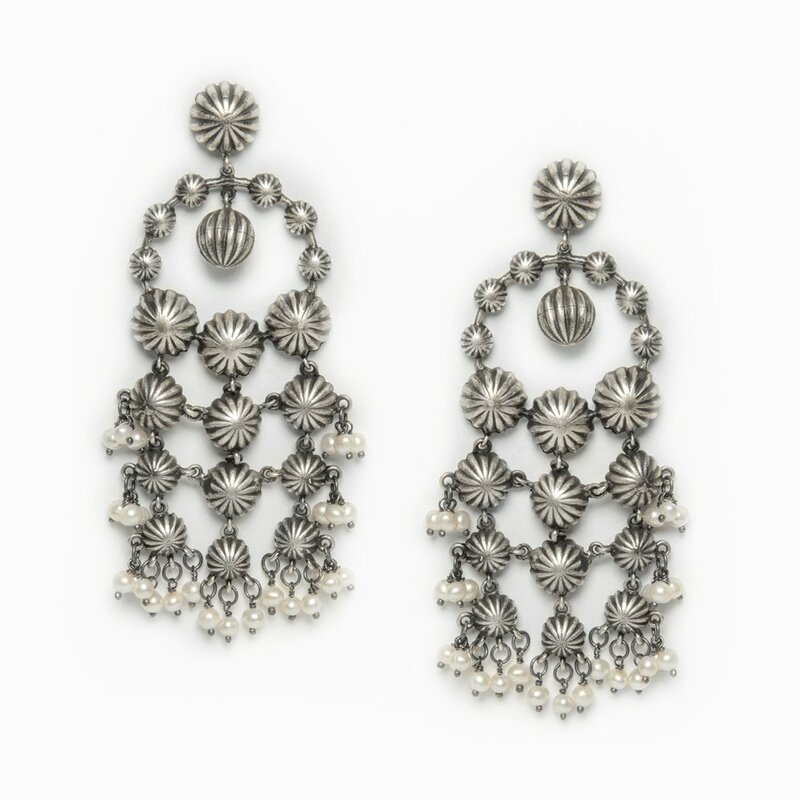 Crafted in 925 silver, these oxidised jhumkis are uniquely handcrafted. 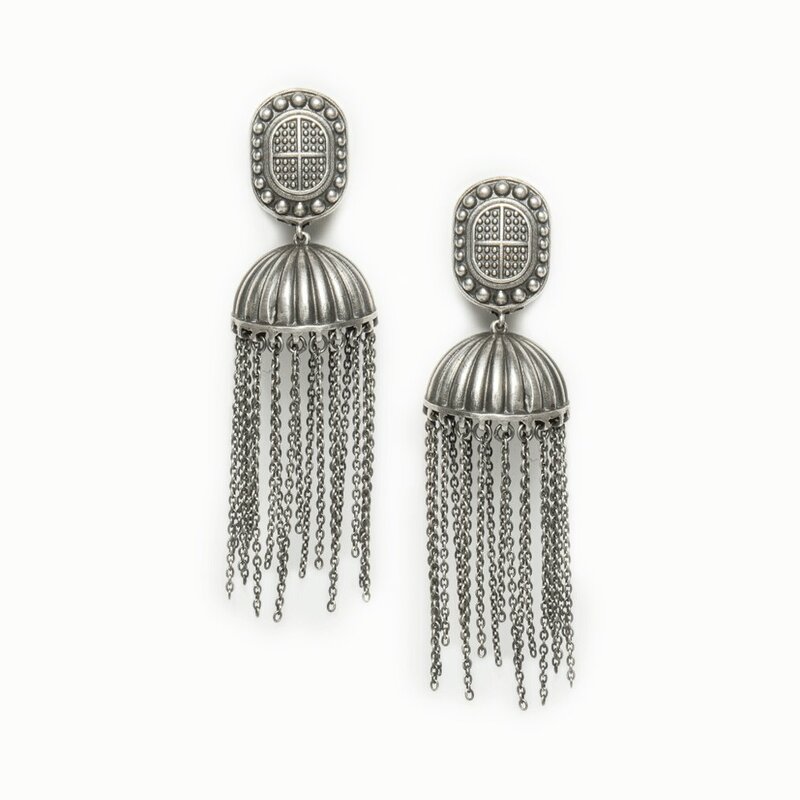 Their dome-like design, with fine threads of silver hanging off it, will get plenty heads turning at your cocktail evening. 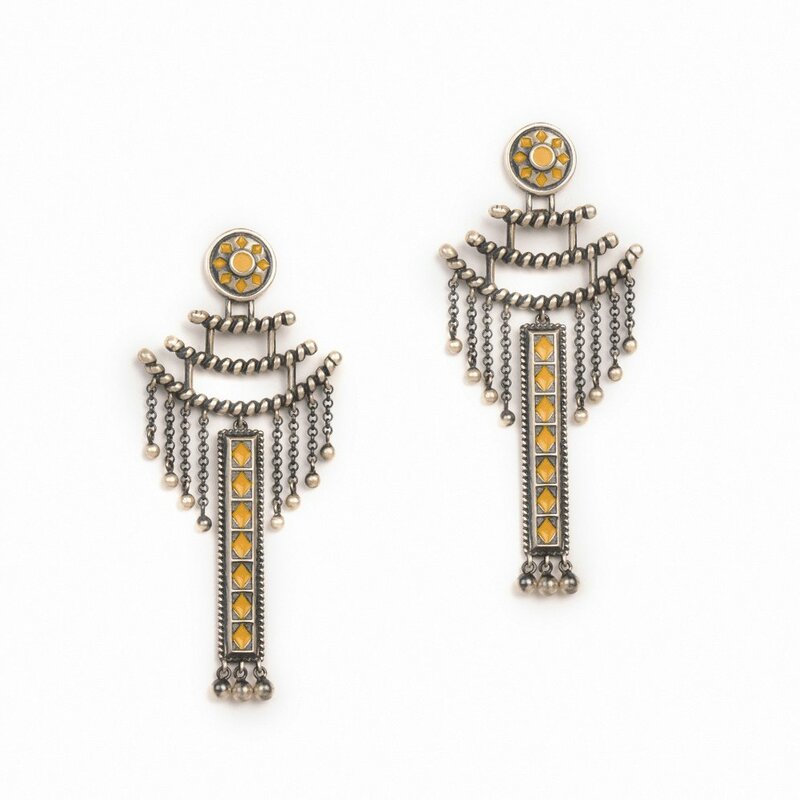 These oxidised tribal statement earrings beautifully brings together sterling silver and pearls. The ornate assemblage has a vertical, three-column design which will never tire of the attention they get. 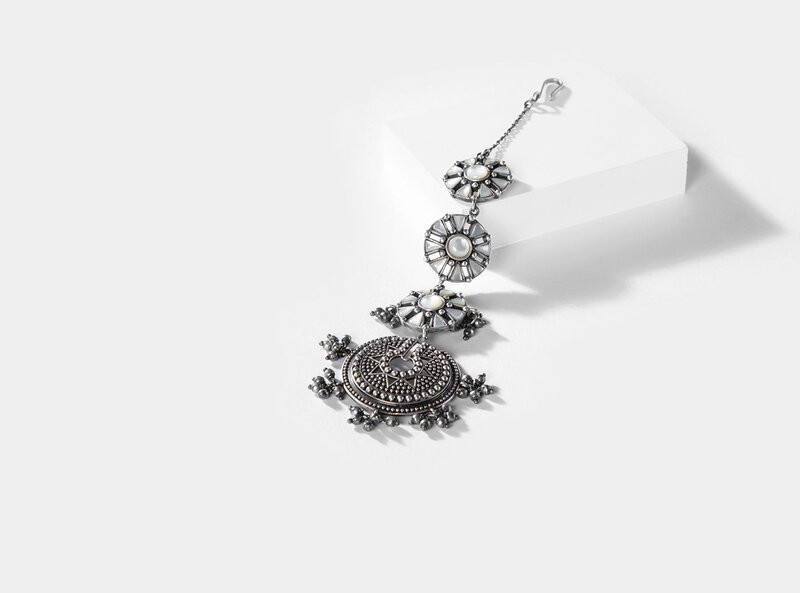 This handcrafted, pearl-encrusted mang tikka is high on the tradition quotient with its four chakras, with the largest one having a central star motif. A must for your sangeet and to get the music of the spheres vibe going! 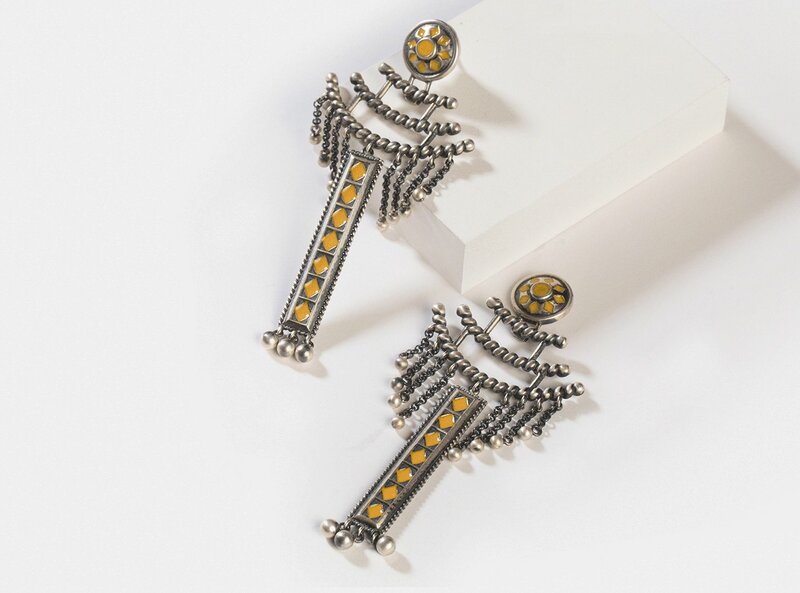 These oxidised tribal chaand balis in 925 silver will give your ears the perfect moon-like sheen and their gentle jingles in your ear means it won’t just be the ladies who’d get to sing at your sangeet.